The Ottar is a true trading ship. Chubby, spacious, and extremely seaworthy. 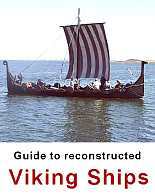 It was probably ships of this type that the Vikings termed a knarr, and which were used for long-distance trade. Large ships like this were able to make the journey to Greenland and Iceland. A Norwegian ship of the Skuldelev 1-type circumnavigated the world in the 1980´ies. Being a true trading ship, the Ottar features large storage rooms amidships. The ship is not easy to row, as the heavy hull was not primarily constructed for rowing. 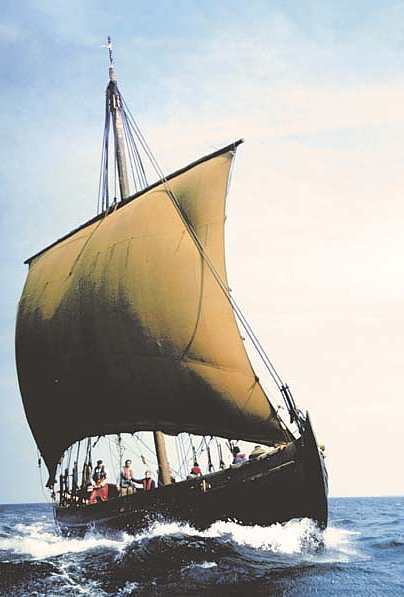 Instead, the Ottar features a remarkably large sail, woven from the wool of the Norwegian spelsau-sheep. Like the sail, the entire rigging is entirely handmade, from hemp and horse hair.